Orphaned Mark Browning was only twenty when he renounced his father's fortune and sailed to Savannah, his mother's birthplace . . . and the home of two remarkable women. The first is Eliza McQueen Mackay, his mentor's beautiful wife, whom Mark loves with a deep, pure love that can never be spoken. The other is lovely young Caroline Cameron, whose life is blighted by a secret that has tormented her grandparents for half a century--a secret that affects Mark more closely than he imagines. Desiring one woman, loved by another, Mark must confront the ghosts of a previous generation, and face the evil smoldering hate, before he can truly call Savannah his home. Eugenia Price (1916-1996) was a New York Times bestselling author of 39 books, with over 40 million copies sold. 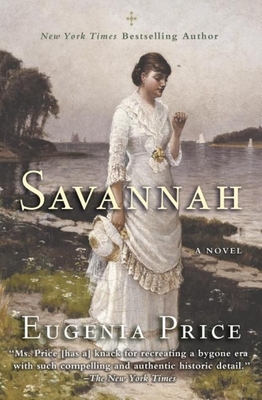 She is best known for her historical romantic antebellum novels.